It all started when we were kids. I say ‘we’, I mean ‘I’. I mean, ‘you, the reader’. I mean every cheese-eating being on Earth. One day mum called us in for lunch, and put in front of us a harmless combination of food – toast, cheese, and a bit of butter. Little did we know, that placed in front of us was, The PERFECT Grilled Cheese Sandwich. Referred to, in some circles, as, The Perfect Lunch. No doubt you’ve spent hours trying to recreate it, but no matter what… not even after mum gave you the recipe… no matter what, it just wasn’t perfect. 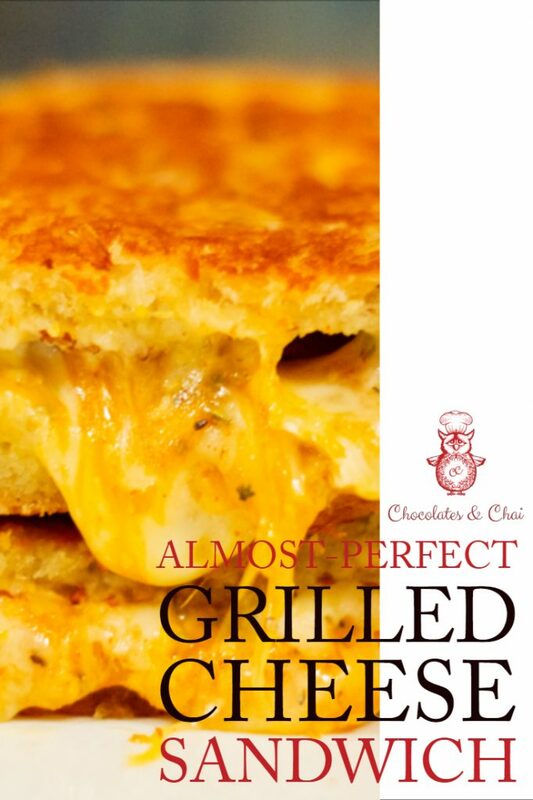 The Perfect Grilled Cheese Sandwich is out there, and I’ve been on a quest to find it. Relentless. I burnt my pinky finger during my last effort! Undeterred. Relentless. I burnt the toast during my first effort! Undeterred. It’s out there, I will find it. Nay, I MUST find it. This recipe was actually inspired by a good friend of mine, Captain N.
Summer 2014. The winter was finally behind us. No more snow, no more ice storms, no more blackouts. It was the summer, and a warm, dust-laden ray of sunshine peeked past the curtain above my bed. There was commotion outside – music, and laughter. It reminded me of where I was. I was in my bedroom at the cottage my friends and I had booked for the weekend. But 9.30am was far too early for a night owl such as myself to get out of bed. I drifted back to sleep. The loudest, most brain-penetrating noise you had ever heard. The wail of the smoke alarm brought me back to consciousness with all the joy of being woken by your cousin pouring a bucket of ice cold water on your face (that’s a story for another day). Dazed and unsure of what was happening, I reached for my mobile and rang Finance Bro. “Nah bro, it’s just the smoke alarm. We’re taking care of it.” BEEEEEP!!!! BEEP!!!! BEEP!!!! “Yeah bro, it’s all good. Breakfast is nearly ready though.” BEEP! BEEP!! BE–…. Peace. Harmless conversation between two bros, right? Wrong. As it turns out, the music I’d heard was being streamed to the speakers from Finance Bro’s mobile. And when he’d answered my call, my groggy-voiced concern for him was also broadcast from said speakers! When I emerged from my bedroom shortly after for breakfast, I was subject to teasing from everyone present. And then something happened. Something wonderful. Captain N put a plate in front of me – avocado and grilled cheese on toast. And suddenly, the voices around me faded into nothingness. I devoured the slices in front of me. Please avoid buying grated cheese. I’m not very science-y so I can’t explain the science to you, but your body will thank you for it! Oh by the way, Captain N – happens to be the owner of the Crossroads Board Game Café in Waterloo, Ontario. If you happen to be in the area, check it out. He even serves a version of his Avocado Grilled Cheese there, amongst other yummy varieties! Also, we were staying at Elm Cove Cottages. If you’re looking for a cottage to rent, do give the lovely people there a call. I know I’m already looking forward to visiting again! 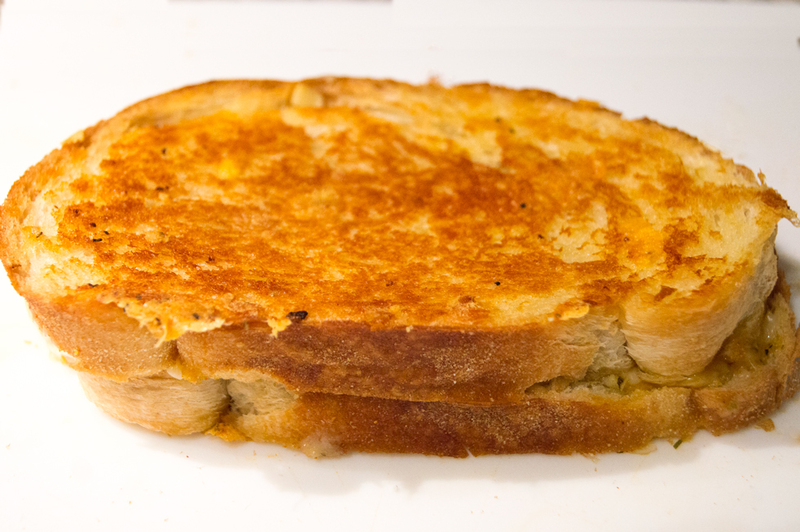 The Almost-Perfect Grilled Cheese Sandwich. It’s as close as I’ve gotten to that first bite from my childhood. I’m beginning to think that maybe the PERFECT Grilled Cheese Sandwich only comes along that one time – like life – a gift from our parents. Or maybe the universe is telling me to step up my game. Maybe the Perfect Grilled Cheese sandwich is just one attempt away. What do you think? Have you found the Perfect Grilled Cheese Sandwich? 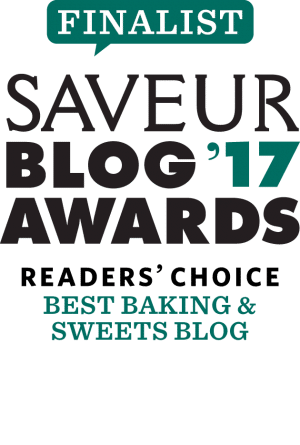 Comment below and please spread my blog via your social media platforms. Because, sharing is caring. The Grilled Cheese Sandwich aka. The Perfect Lunch. Here’s a quick and easy recipe to make it happen! Mix the Gruyère, Brie, and cheddar; seasoning them with paprika, pepper and oregano. Generously butter one side of both slices of bread. And put mustard on the other. 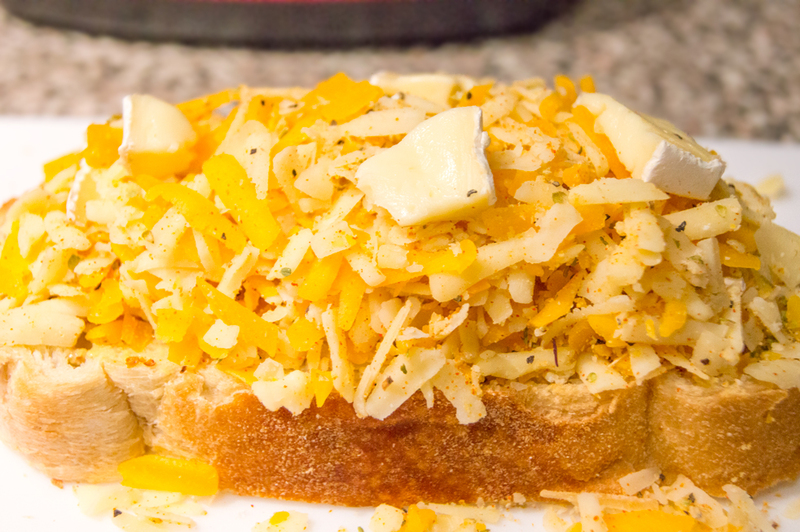 Place the cheese mixture on the mustard side of the bread. And sandwich using the remaining slice of bread. Fry the sandwich over a low-medium heat (preferably using a non-stick pan), put a lid on the pan to help the cheese melt quickly. There’s no need to butter/oil the pan as you’ve already buttered the outsides of your sandwich. Cook till golden brown, flip, and repeat on the other side. Typically, 1-3 minutes per side. Do you leave the casing on the brie? 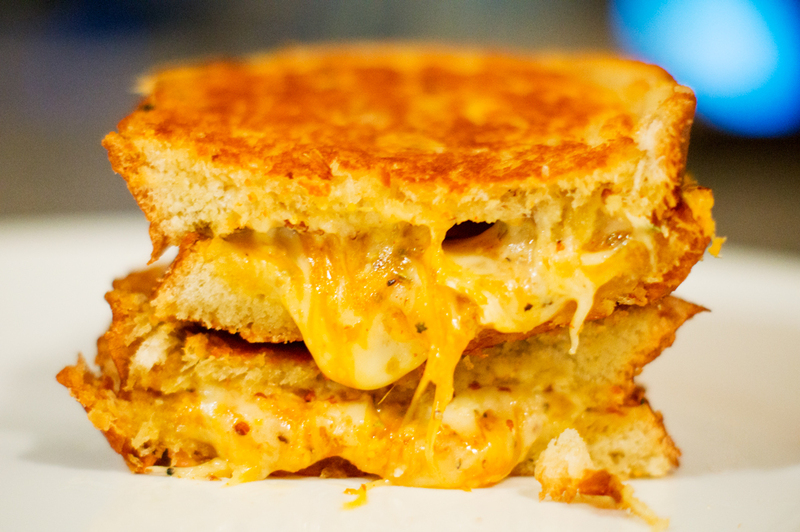 Who doesn´t love grilled cheese sandwich?? Yum! Crazy people, Johlene. Crazy people don’t love grilled cheese sandwiches. … And vegans, but they have a more viable excuse, I suppose! It looks so yummy.i will try it out or better wait for you to prepare for me.Good luck and waiting for more of your delicious recipes. You can’t beat a grilled cheese sandwich. It really is the ultimate comfort food. OH MY GOD. I am in love. 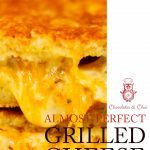 ^ This is the perfect response to Grilled Cheese sandwiches! Yum, I love a good grilled chesse sandwich! And all the cheeses in this one some fabulous. It is a MUST HAVE! I agree! You must have this! 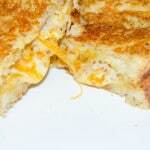 There is something about a grilled cheese sandwich that is so satisfying!! I think I could eat every single day and never tire of them 🙂 This one looks delicious! I know, right? I think it’s the perfect “I’m awake at 3am”-meal ! Well, it looks pretty dang perfect to me, Riz. 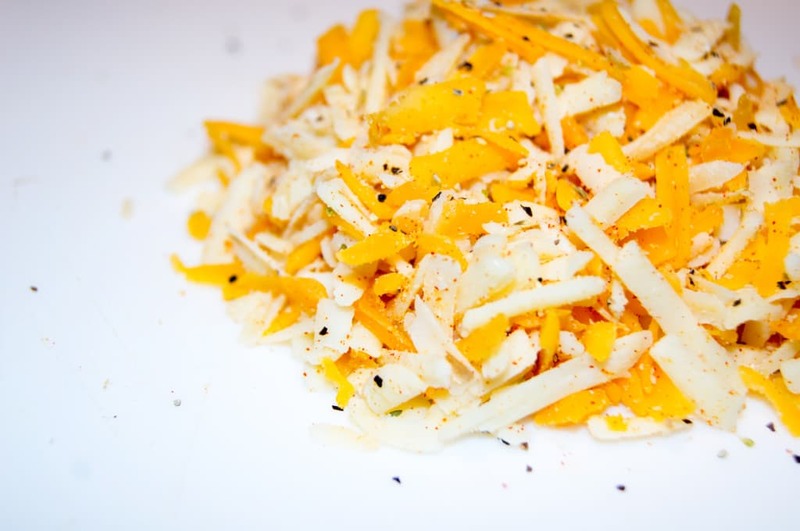 The idea of grating the different cheeses together is brilliant! Your Mom’s perfect grilled cheese was made with love and you will no doubt be doing the same when you make it for her. Great story, as always. Aww thanks Denise! I’m glad you enjoyed the story, I always enjoy your comments!